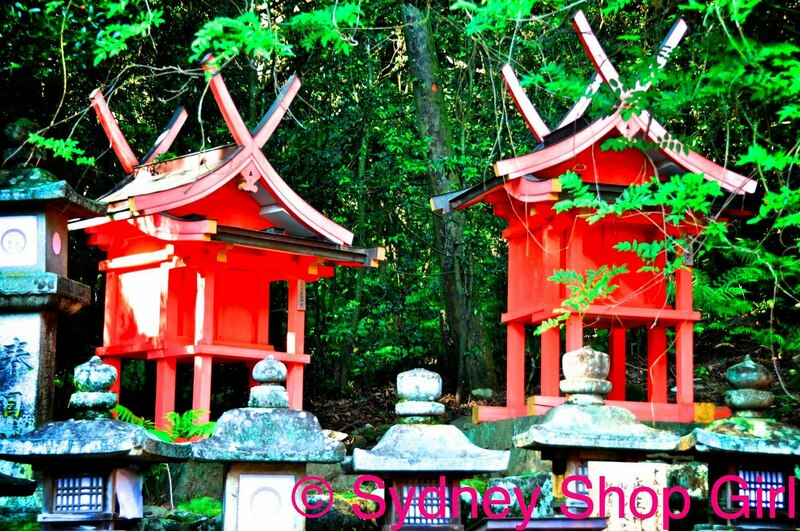 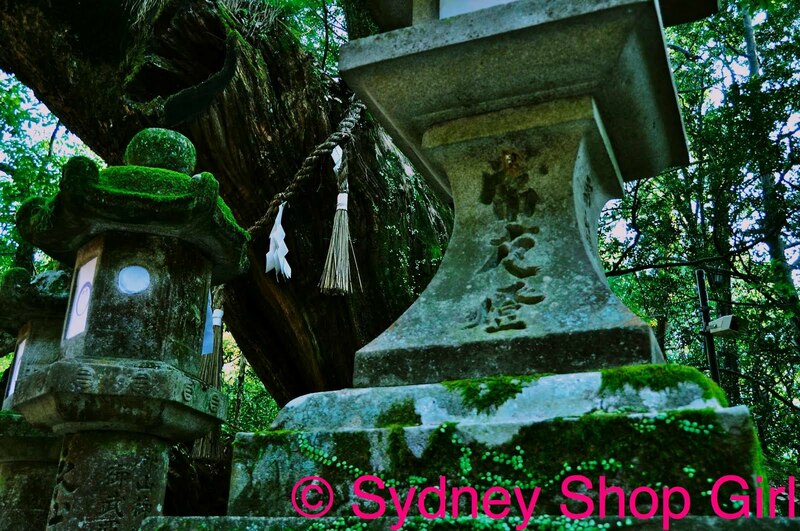 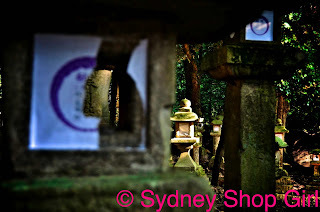 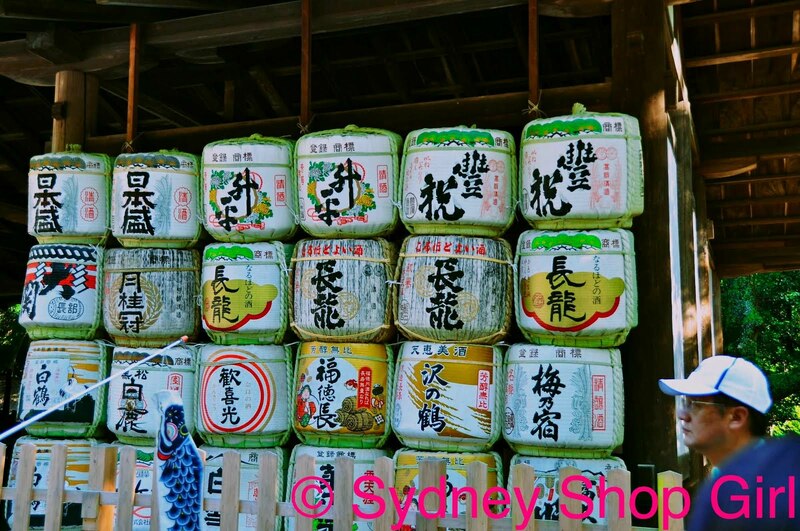 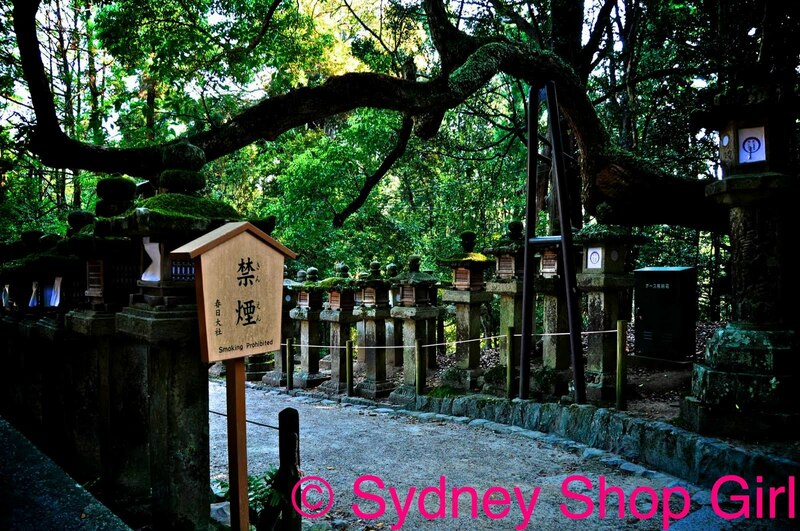 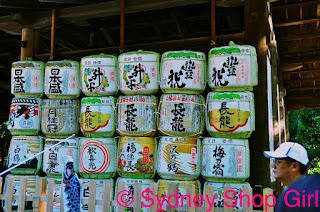 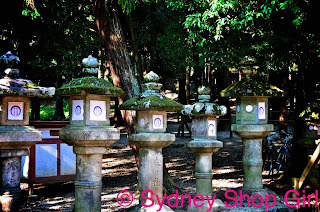 Sydney Shop Girl: Kasuga Taisha Shrine, Nara. 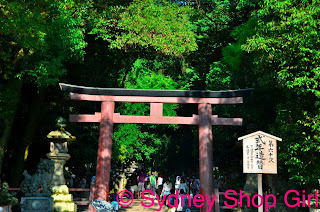 The Kasuga Taisha Shrine was the last stop on the Kyoto / Nara day trip that we took. 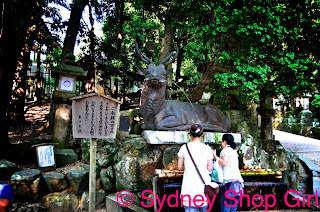 The shrine is a UNESCO World Heritage Site (part of the Historic Monuments of Nara) and is a Shinto shrine that originated in the 8th century. 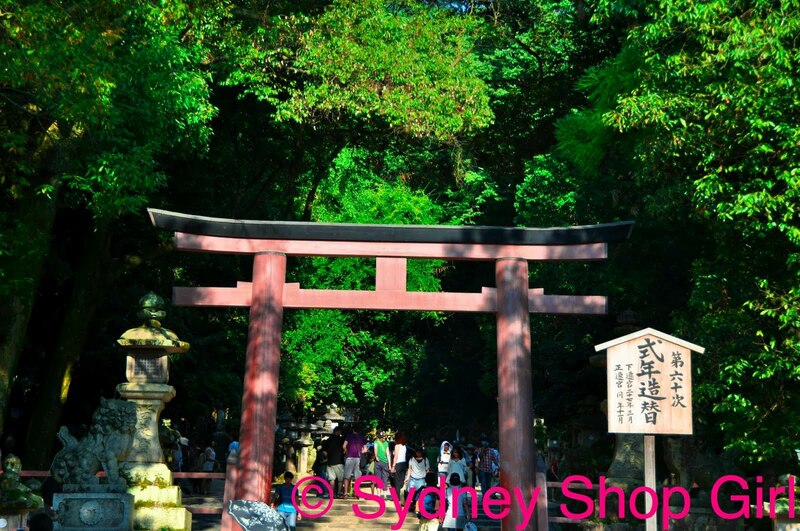 According to Shinto tradition, the shrine was completely rebuilt every 20 years until the 19th century. The blue carp bottom left was the 'flag' our tour guide held so that we could be able to locate him easily. 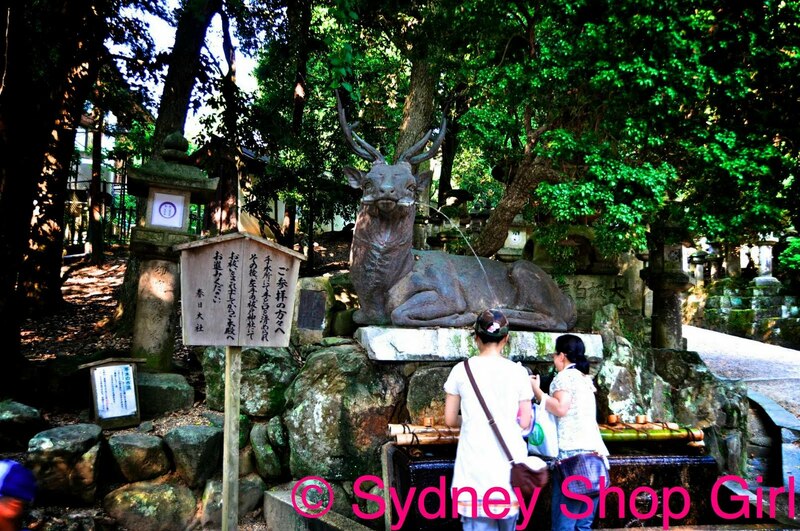 The shrine is famed for the number of both stone and bronze lanterns. 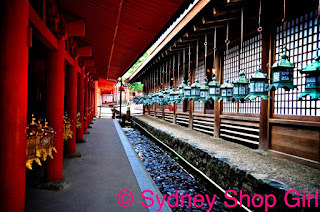 Twice a year, during the Setsubon Mantoro Festival (February 2-3) and Obon Mantoro (August 14-15) the lanterns are lit. 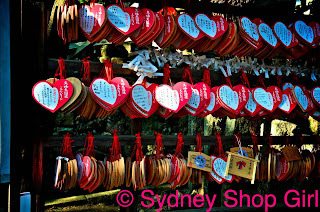 Single men and women leave messages expressing their hopes and wishes for a prospective partner. 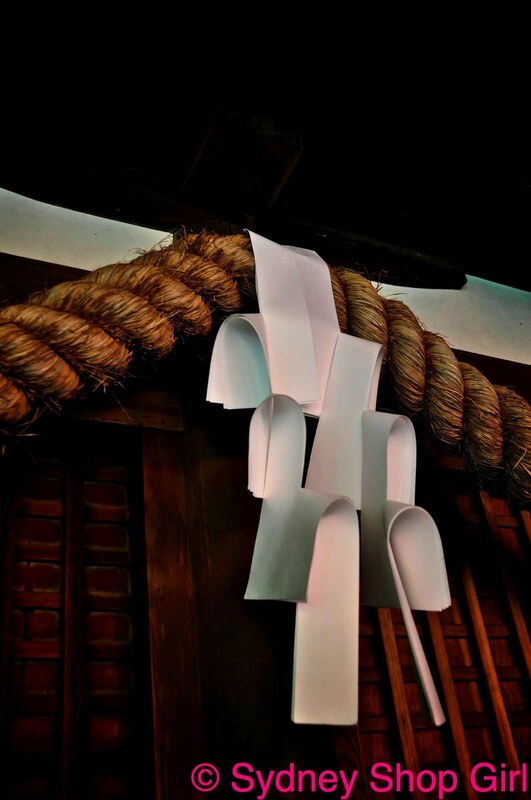 Some left their emails and mobile phone numbers on their messages. 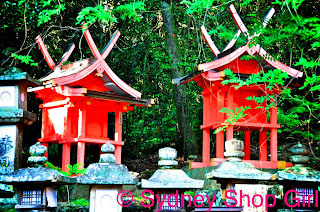 As we visited the shrine a few days after the official festival dates, we were able to see elements of the ceremonies around the shrine. 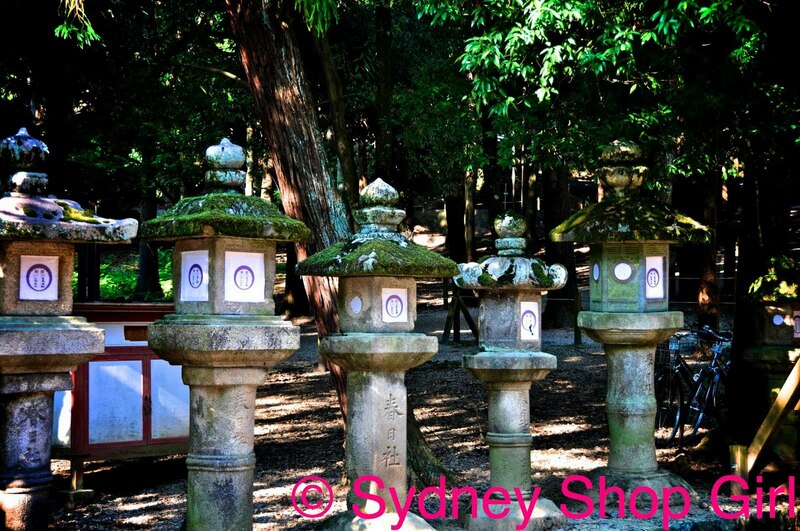 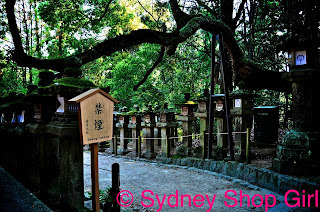 There are over 1000 stone lanterns lining the path to Kasuga Shrine. The path cuts through the Deer Park. 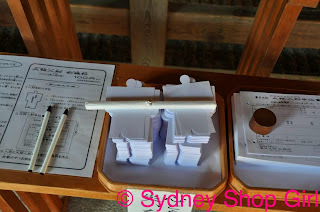 Cards for writing messages of worship. The contrast of colours, shapes and materials really came out in this photo. 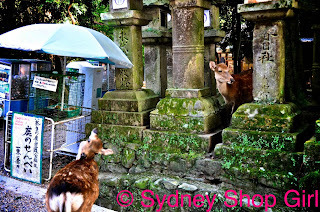 Herds of sacred dear wonder through the grounds of the shrine. 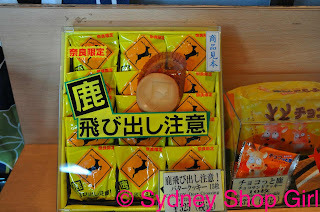 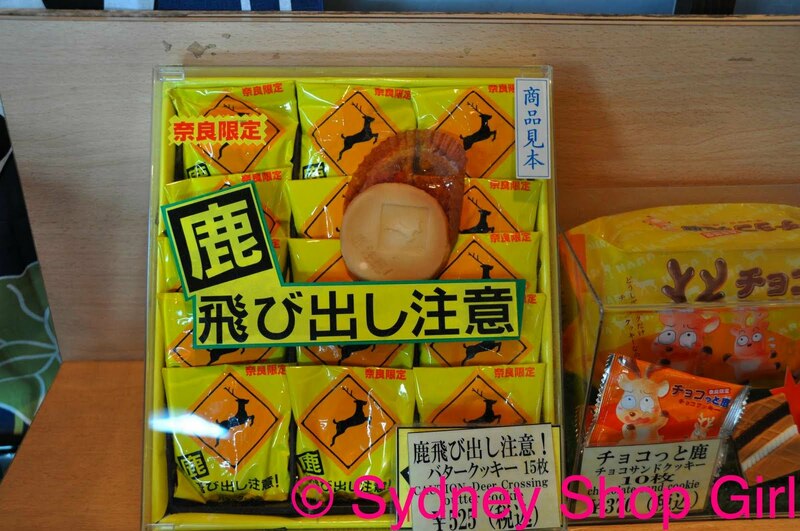 Our last stop on the day trip was at a gift shop, where we found Deer Biscuits for humans. 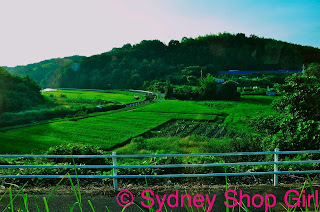 Then it was time to board the bus and drive back to Kyoto through rolling green hills and lush fields. 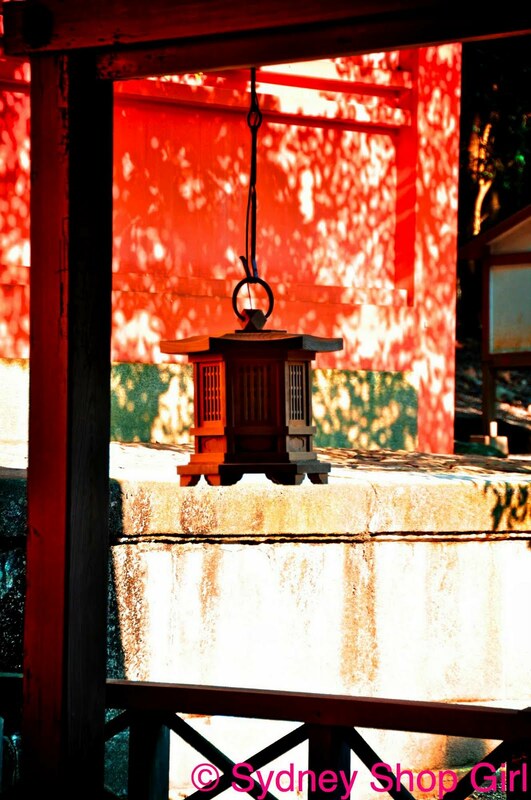 These are beautiful photographs, thank you! That visit to Japan is so interesting - the mix of tradition and modern life is what is alluring me. 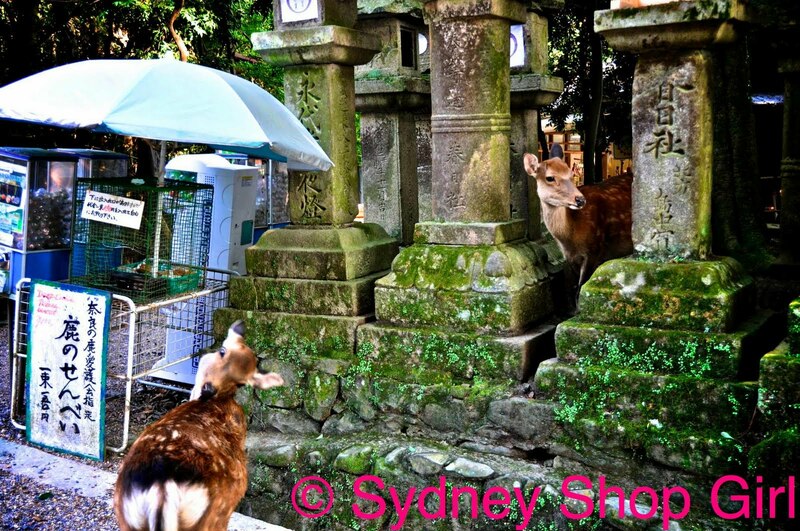 Glad you're enjoying the photos.